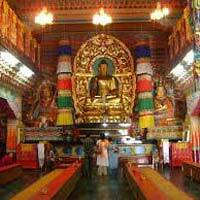 After a delightful breakfast start for the full day city tour covering Tashi view point, Ganesh Tok & Hanuman Tok, Banjakhri Falls, Enchey Monastery, Cottage Industry, Dro-dul Chorten, Rope way, Institute of Tibetology, Flower show and Handicraft Centre. 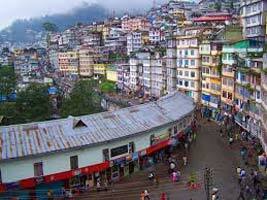 Spend overnight at hotel in Gangtok. 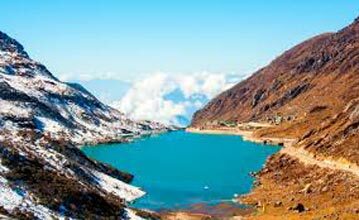 This Morning 7.30 A.M start for a half day trip to Nathula [China Border] , Tsomgo lake (12400ft), which is only 32kms from Gangtok City, the lake is almost about 1Km long and 15 mtrs deep. Also visit Baba Harvajan Singh Mandir. Evening free at Leisure or you can enjoy shopping by own. 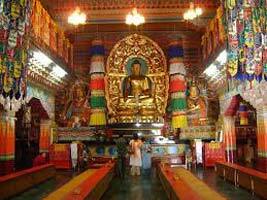 Night halt at Gangtok. 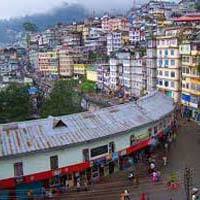 After breakfast check out of the hotel and drive to Darjeeling. On arrival at Darjeeling check in to the hotel. Afternoon free at leisure - mall road and shopping. 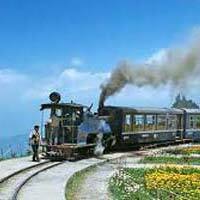 Spend overnight at Darjeeling. 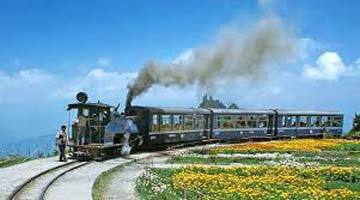 After a delightful breakfast check out from hotel and transfer to NJP Railway Station / Bagdogra airport for your onward journey. We wish you HAPPY JOURNEY.